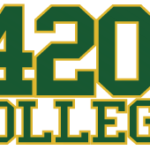 At 420 College we strive to bring you the best and latest information when it comes to cannabis business, laws, cultivation, and consumption. 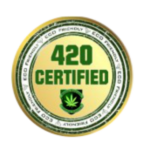 There are many options for the cannabis consumer who does not wish to smoke in order to ingest marijuana. There are cannabis tinctures, topical sprays & lotions, and edibles! Cannabis is oil based so using any oil product like butter or vegetable oil will dissolve the THC glands. Here are some basic edible recipes that can be infused with your favorite foods. When calculating the proper dosage of an edible the best cautious thing to do is eat 1/4 of the edible first and wait an hour for it to fully digest and kick in to your system. Do not smoke cannabis while waiting for an edible to kick in, it can triple the effect. If after an hour you still feel you could handle more then take another 1/4 of the edible and repeat until you are sure of your tolerance level ratio to edible cannabis content ratio. 1) Grind the cannabis up well, using a coffee grinder or food processor. 3) Add enough water to the crock pot to cover the bud and butter by a few inches. 4) Turn the crock pot on low and allow the butter to melt, then stir. 5) Simmer on the lowest heat for 3 hours or longer to attain maximum extraction of cannabinoids. 6) Turn off the crock pot and allow mixture to cool slightly. 7) Pour the mixture through a fine mesh strainer lined with cheesecloth into a glass bowl. 8) Press the remaining liquid from the cannabis. 9) Refrigerate overnight until the butter has solidified on top of the water. 10) Lift the butter away from the liquid and drain the liquid away. Then gently remelt the butter by double boiling it & divide into smaller containers ready for use. 11) Freeze butter leftovers until needed. 12) Mix melted butter into your favorite recipes that call for butter and viola! Perfect canna-butter infused edibles! Break up the weed first. You don’t need a coffee grinder for this necessarily. Using your fingers will work fine. 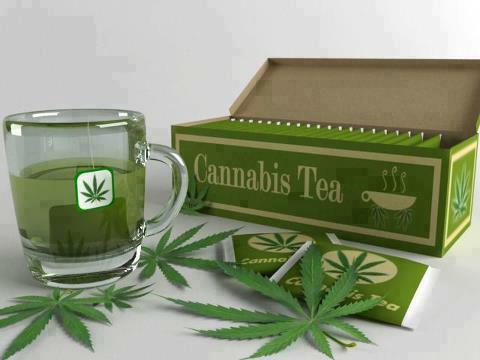 Carefully open the tea bags that you have ready and add in the weed. Reclose the bags by stapling them shut. In a pan on the stove, bring the water and soy milk to a boil and add about 1/2 cup of whipped cream in to the mix, letting it melt completely. Toss in the two teabags and let the whole mix sit on the stove for about 25 minutes. Take the chai tea base and follow the instructions on the box. In place of the milk that the recipe calls for, use the weed/soy milk mix instead. This is the final step and will give you a nice, warming chai weed tea that you will absolutely enjoy! You can add more soy milk if you’d like, as well as ice and sugar. Remember to always know how cannabis effects you when ingesting it, as the effects different from smoking! Enjoy your chai! Cannabis infused alcohol can be used to create an intoxicating and mouthwatering array of beverages. Should be prepared at least two weeks prior to use. Remember this stuff is potent and one cocktail will be more than enough! 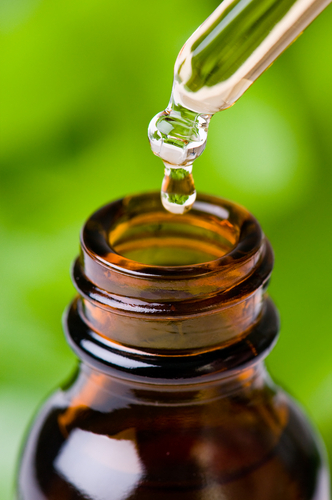 6) Store in a small jar or tincture bottle with eyedropper. Use sparingly!